I first heard The Lover Speaks when the video for “No More ‘I Love You’s'” eked its way into low rotation on MTV. Maybe it was on 120 Minutes, or perhaps it was from one of my notorious “dead of night” time shift tapes, but the fact remains that the grainy, very Kagan & Greif looking super 8 video made a big impact on me. It probably came down to the female backing vocals [which I would call a duet, actually] that sounded for all the world like Elizabeth Fraser of Cocteau Twins. I was a Cocteau Twins fanatic for several years by 1986 so I made a bee-line for the record store and plunked down my scant funds. Strangely enough, the album credits did not list who the mystery vocalist was at all; leading me to believe for quite some time that it was an uncredited Fraser, due to contractual politics. 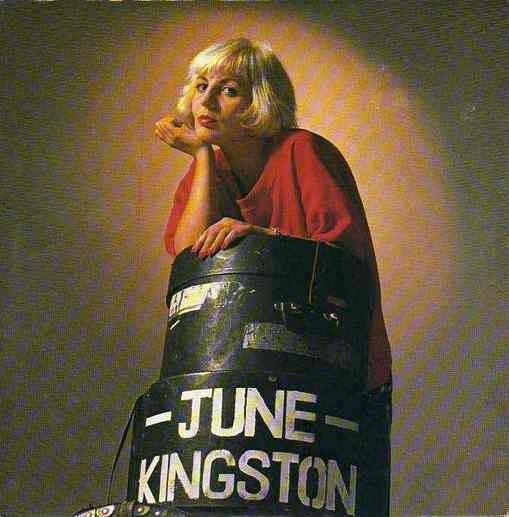 In fact, I only found out today, 29 years later, that it was actually June Miles Kingston [Mo-Dettes] who in fact all but steals the show on the single that caught my ear. Apparently she was the ex-girlfriend of Joseph Hughes, the bass playing half of The Lover Speaks. But that was the single. Once I heard the album it was readily apparent that baritone vocalist and guitarist David Freeman was the real pull here. His Scott Walker-esque vocals were couched in songs that were baroque, grandiloquent pop that was “seriously purple prose” indeed, as one song went. They stuck out like a sore thumb in the turgid mid-80s scene and were far from my usual fodder, and my friends and I all became highly enamored of the album’s willingness to stick it’s artistic neck out and then to back up such conceits with the goods that made it all work. It was not camp, but I could see how cynics might think so. The fulsome production by Jimmy Iovine remains one of two of his credits that I actually enjoy. The Motors “Tenement Steps” remains the other. 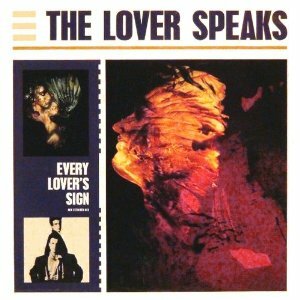 As the year of its release played out, the only single I ever saw from it was the 12″ mix of “Every Lover’s Sign,” but since it was vinyl, I passed at the time. I only bought a copy in 2011 when it looked like that would be the only way I’d hear the re-recorded, 12″ version of the track. By the late 90s, I became aware that CDs of the album could exchange hands for three figures. Since no one besides me was singing its hosannas at the time, I can only put this down to the huge hit that Annie Lennox had with her cover of “No More ‘I Love You’s'” from her second solo album, “Medusa,” in 1995. Eurythmics were inextricably tied to the band’s fortunes from the get-go as their demo crossed Dave Stewart’s table and he went to bat to get them signed to A+M Records. Lennox sold bucketloads of “Medusa”and “No More I Love You’s'” remains her highest charting solo single, though that album marked my break with 16 years of Lennox fandom. I can only surmise that interest in the original started to peak as a reaction to the hit cover, but that remains an untested hypothesis. For anyone else who came along years later wanting the album, it remained “for connoisseurs only” with a criminally high price. Until now. Thanks to the attentions of music maven and reissue producer nonpareil Vinny Vero, our friends at Cherry Red subsidiary Cherry Pop have reissued a perfect version of this album with all of the Monsatic detail that I would have put into the project myself, in the hands of A Professional Who Cares®. Does it get much better than this? Possibly not. For each of the stray mixes and versions that lurked in the periphery of this album 30 years ago are all present and accounted for here… and then some. That includes the never seen by these eyes 1987 follow up single, a cover version of the spotless Dusty Springfield classic “I Close My Eyes And Count To Ten.” I don’t know about you, but I can certainly imagine David Freeman wrapping all of his vocal melodrama around that song quite effectively. According to Sir Vero, this was from a recorded but shelved sophomore album that the anemic sales of the first album engendered, but if enough people buy this reissue, the thought occurs, that Cherry Pop might see fit to license that tucked away master for the lovely occurrence of an orphaned album reissued to new life decades later. It’s been known to happen, so we’ll keep our fingers crossed. Until then, I recommend indulging in this DLX RM since it’s spot on perfect. This entry was posted in Want List and tagged 1986, 2015, DLX RM, The Lover Speaks. Bookmark the permalink. As all the little chicks with the crimson lips might say … WANT!!! chasinvictoria – BONUS ROUND!! 100 extra points for the brilliant Ian Hunter quote! I knew this would get your attention, but not so quickly! A must have, as it was all those years ago. It still amazes me that Jimmy Iovine even had time for The Lover Speaks as he was so far up the posterior of Stevie Nicks at the time…but that’s another story and another rant for another time…As for June Miles Kingston, she shows up on so many records I cherish in my collection – Everything But The Girl’s Eden and Love Not Money, Fun Boy Three’s Waiting, The Mo-Dettes’ The Story So Far and The Communards’ debut. There was a follow-up album from 1987 entitled “The Big Lie” that was never released commercially. I was able to find a copy (promos of the CD were apparently distributed). Although I must admit that I really miss June Miles Kingston’s presence, the album is still superb and I listen to it often. I think most of the tracks can be found on Youtube. Give it a listen. Jeffrey Chace – Welcome to the comments. I was aware that the unreleased 2nd album was a bit of a holy grail for TLS fans and have been assured that reissue producer Vinny Vero attempted to get this issued alongside the debut album on the recent reissue he commandeered. It has not happened yet, but if it can be done, I have full faith in his efforts.